Ever since I saw his TEDx Toronto speech on TED.com, I have been a fan of Drew Dudley’s point of view on everyday leadership. So, when I saw that he would be the closing keynote speaker for Blissdom Canada, I was looking forward to his presentation the entire weekend. Create deliberate steps you can take each day to ensure you live each value. What have I done today to recognize someone else’s leadership? What have I done today to make it more likely that I will learn something? What have I done today make it more likely that someone else will learn something? What positive thing have I said about someone to their face today? What positive thing have I said about someone who is not in the room? What have I done today to be good to myself? The answer to these questions does not need to be a grand gesture. If you have seen Drew’s TED Talk, you’ll recognize that there are no little things. Sometimes little things to you may mean a lot more to others. These are what Drew calls the “lollipop moments“. My “Mission for Today” series of posts I started around last Christmas were to share some small ways to connect with your team in positive ways, which could be one of my questions reflecting a personal value. Acting on one of those posts would be a simple thing I could do to answer that question each day. 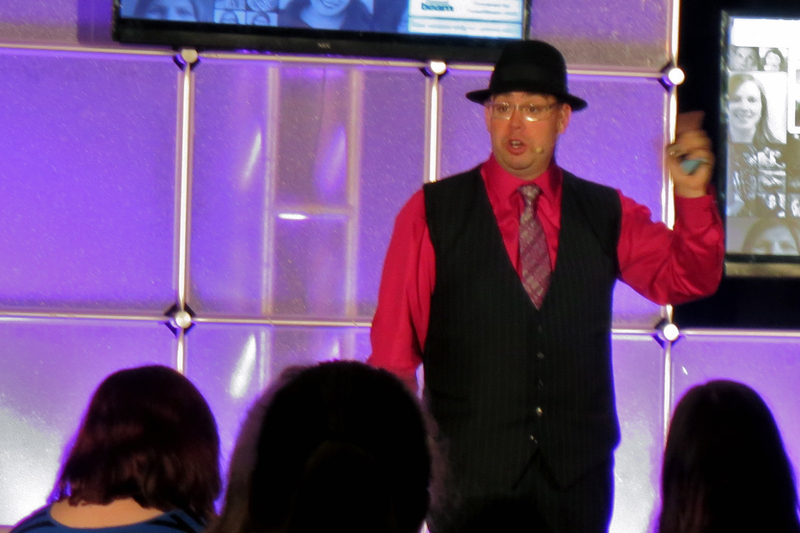 Drew’s presentation was a great way to conclude Blissdom Canada 2013. I am still thinking about what other questions I could ask myself to ensure I consciously act on my values each day. Is there something you strive to do every day that reflects your values? Have you had a lollipop moment recently? Drew’s talk was amazing. I would love to one day bring Tobei to see him talk. Thank you for including my post in yours. I loved your post, Nolie! I hope you do get see another of Drew’s talks with Tobei.